Earning your turns in February 2016, shot from Chisenupuri backcountry. In the Iast few days we had about 10cm down at village level here in Annupuri with 17cm recorded in Kutchan on the 11th of April. This snowfall brings our recorded snowfall to 1044cm and stretches the seasons snowfall to the 12th of April at base level, 4 days later than last year and a quite a few days more than the year before, you will need to go here to check that out. 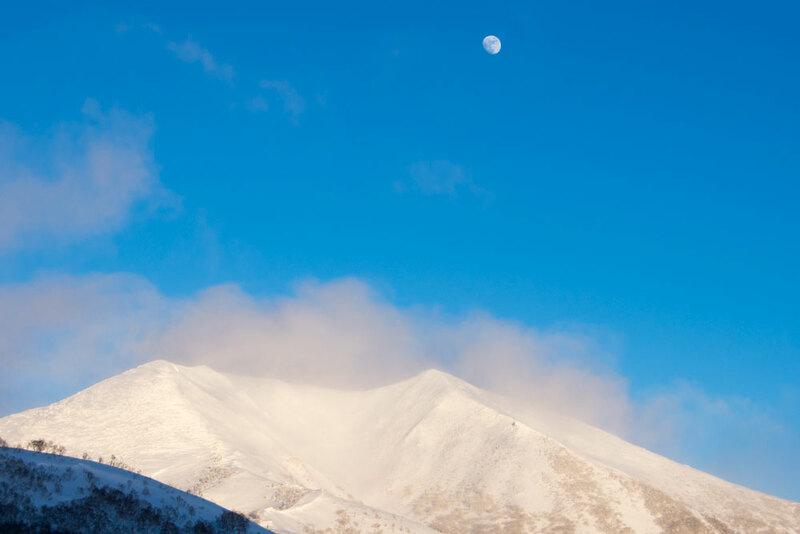 looking back at Kosan no sawa (centre) & Annupuri Bowl on the right behind the ridge with the moon rising above. With a slightly lower than usual snowfall than most seasons for mid-January Mt. Yotei is looking good, check the previous image to get an idea of how much more is covered than late December. Time to get hiking. 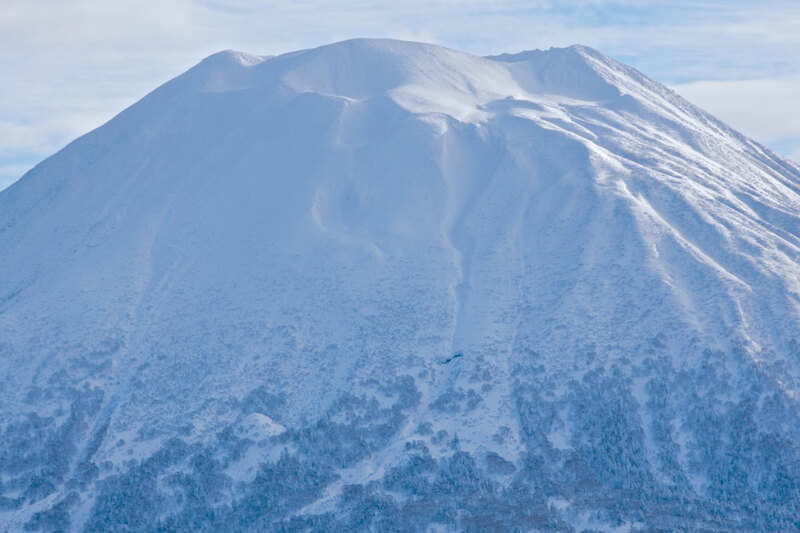 A photo from 2 weeks back of Mt.Yotei and possibly the last time we saw the peak of Mt. 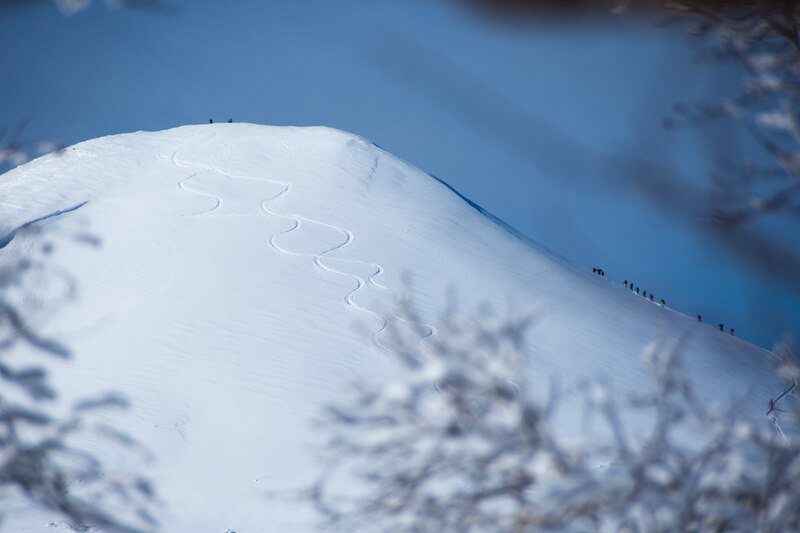 Yotei, still looking mostly unridable compared to mid-season conditions. with no snow for over a week now and rain last night we headed up to Goshiki Onsen again to check on the snow base up there. measuring at the same spots as last time, the base measusred in at 84cm so slightly up on the last measurements of 70cm. check the images below for a comaparison of snow coverage or check the links below. here is the link to our last check 1 week and 6 days ago. with a week passed since out last check at Goshiki Onsen and 50cm of recorded snowfall in Annupuri the snow base up at Goshiki now measures 70cm. Today ii was 4˚C and raining up at Goshiki, but this will do very little to a snowpack of 70cm. Snow in the forecast at Niseko town level over the next few days so upper mountain is looking good for this time of year. images below taken at same spots as last week, you can see the snowbanks are growing, check here for last week. 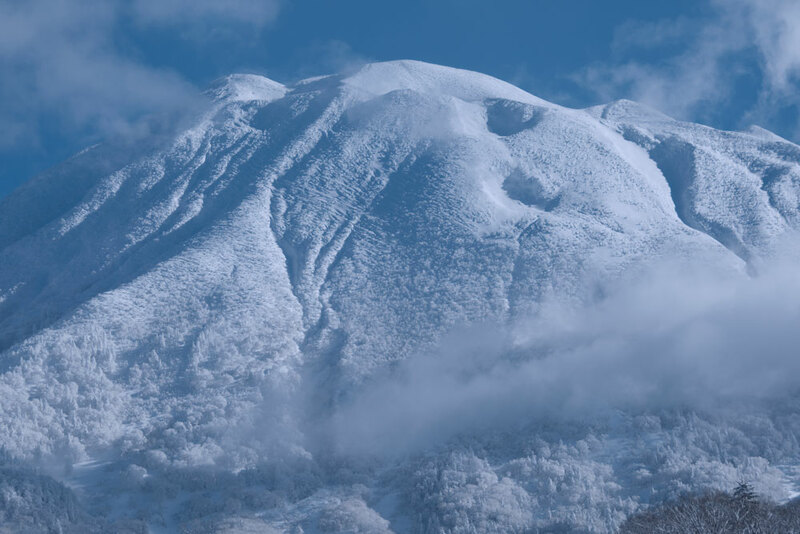 Yesterday, November 25th, we decided to go back up to Goshiki to see how much snow had fallen up higher on the mountain. With about 28cm at our check point in Annupuri recorded over 2 days we were wondering how much had settled in up in Goshiki. What we measure was about 32cm, note that this is settled snow and that our measurements was over 2 seperate days of freshly fallen snow. We also took a couple of picture to compare to when we were up there on the 23rd of November , you can check that here. with a slow start the 2015 season, we thought it was time to go check out the conditions up high. At Goshiki which sits at about 800m there was about 5 to 10cm of snow settled meaning posisbly up to 20cm has actaully fallen over the last few days. With temperatures remaining low and more fronts passing through the snow accumlation should start to add up over the next few weeks.